Welcome to Laser Hot Hits International - the shortwave legend. Laser International was started by a group of dedicated radio enthusiasts and first went on air on Bank Holiday Monday 16th April 1990 on 101 MHz FM in stereo to the home counties. Broadcasts continued most weekends until frequency changes were made due to Classic FM starting but broadcasts were less frequent in 1992. 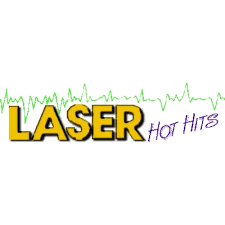 By 1993 Laser merged with staff from the former Hits FM to emerge a reborn, bigger Laser Hot Hits on 105.6 FM to London and surrounding counties.Our first broadcast was on 23rd May 1993 on 105.6MHz in the FM band to London. Broadcasts then continued regularly at weekends until l3th February 1994 when additional transmissions were added in the 49 metre shortwave band on 6220 KHz which became our main shortwave frequency for the next 12 years. Various frequency moves were then made over the next few years on FM. Also, on the shortwave bands, other frequencies were utilised by the use of additional transmitters and relay facilities. On the 7th December 1996 following the latest of many DTI raids on our FM facility, it was decided to discontinue the FM service and concentrate on the short wave service only. The power of our main 49 metre band transmitter was increased and we added an outlet in the 75 metre band. We also added relays in Ireland, Holland, the USA and Argentina. We later took the decision to run 24 hours a day, 7 days a week and were able to provide a successful consistent shortwave service on the 75, 49, 41 and 31 metre bands for over 10 years. Coming up to date our 49m band transmission is now on 6205 KHz and sometimes moves to close by to 6210 or 6220. This can be heard weekday evenings and all weekend. We are totally non-profit making, all funds to run the station come privately from members of our organisation. Laser is broadcasting worldwide on the internet 24 hours a day and on 6205 KHz shortwave weekday evenings and all weekend. You can also find us on 98 FM Sundays in the UK and on 1476 & 1494 KHz Medium Wave to Europe most weekends.